PROJECT: RMS was contracted by a food manufacturer in Georgia to assess the overall condition of 44 sections of roofing at their plant and out buildings. RMS consultants provided investigative reporting and infrared scanning. ROOFING SYSTEM COMPOSITION: 44 sections of roofing including standing seam metal panels, single ply thermoplastic membranes such as PVC, KEE, and TPO, either mechanically attached or fully adhered, and several sections torch applied built-up roof membrane. OBJECTIVE: Review existing roof conditions in order to develop an efficient approach to a roof program while at the same time, develop reasonable budget costs that can be used for budget planning or project development. Roof Construction to outline each roof area in terms of approximate square footage, as well as a generic description of all visible roof components such as roof deck, roof insulation (where possible), roofing materials/system. Synopsis of current roof conditions and expectancies such as roof leaks, ponding, improper installation, missing expansion joints, porous walls, and in general, an analysis of existing conditions that will affect the overall longevity and performance of the roof system. 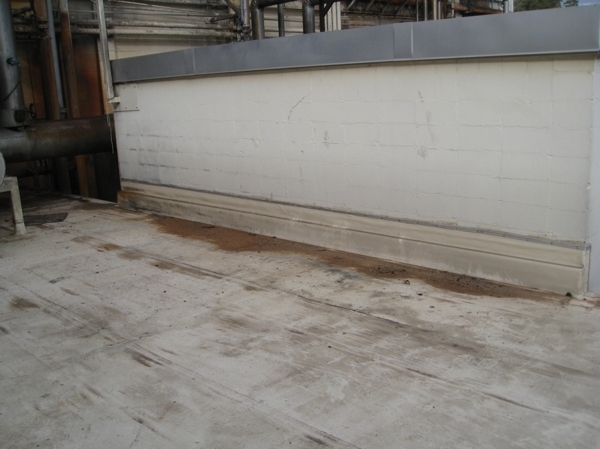 Addressing existing conditions of major roof components with regard to their overall conditions and need for attention. The typical items are perimeter flashings, sheet metal components, equipment curb flashings, caulking, drainage, pitch pockets, expansion joints, and the overall condition of the field of the roof. Recommendations as to whether or not each roofing section is maintainable and if so, for how many years. Preliminary budget costs are included with regard to corrective actions. However, preliminary budget costs are based on a cursory overview and are to be used for guideline purposes only. A review of major points is compiled in an easy to read format and supplied as a Summary Sheet. This report is a cost effective way of reviewing roof systems in order to get a reliable overview of current overall roofing needs and to provide reliable information for the formulation of budgets for both expense and capital projects as they relate to roofing needs. RMS commercial roof consultants provided assessment of the overall condition of 44 sections of roofing for a manufacturing plant and out buildings in Georgia. Contact RMS for consulting services for your commercial roof.